Note: The headquarters is situated in the premises of the old Royal Observatory at the Cape of Good Hope, whilst the most important instruments are housed at Sutherland. SAAO, Observatory Road, Observatory, Cape Town, South Africa. Radcliffe Observatory closed down, and its 74-inch telescope was bought and moved to Sutherland. Thus the original Royal Observatory at the Cape of Good Hope metamorphosed into a new entity, the S.A.A.O., which for reasons of convenience and space will be dealt with in this website as a separate establishment. Besides the telescope domes, there are also offices, a technical building, library, staff residences, and a 14 bedroom hostel for visiting Astronomers. On 15 November 2000 the Infrared Survey Facility (IRSF) was opened. This is a joint project between S.A.A.O. and Nagoya University, Japan. The telescope is a specially constructed 1.4-m telescope fitted with the SIRIUS camera. SALT. First light was attained in September 2005. Richard van der Riet Woolley. 1971 – 1974. He became the first Director. Sir Richard was Astronomer Royale of Britain, and took over the post on retirement from Greenwich. Bob Stobie: April 1992 – May 2002. He was previously deputy Director of the Royal Observatory in Edinburgh. Stobie was the great drive behind the S.A.L.T. project until his untimely death in 2002. The administrative headquarters are situated in Cape Town and on this premises there are a few old telescopes.. These telescopes are preserved because of their historical value and some are still used for public outreach. The Observing site is at Sutherland. The telescopes here are modern and are science grade instruments. 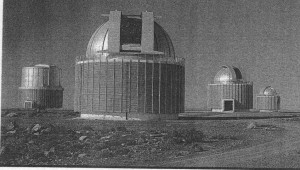 Below are lists of the telescopes at Cape Town and Sutherland. The lists contains telescopes both current and old. Note: Telescopes were sometimes given names e.g. “Elizabeth telescope”, They are also referred to by their diameter. Many of the telescopes come from the era before the British Empire converted to the decimal system. Thus telescopes may be referred to in inches or centimeters. The telescopes at Sutherland do not belong exclusively to the S.A.A.O. Because of the good viewing and excellent infrastructure many international establishments have located telescopes at Sutherland in collaboration with the S.A.A.O. Below is also a list of these telescopes. Meerlicht – An extention of the Meerkat project. 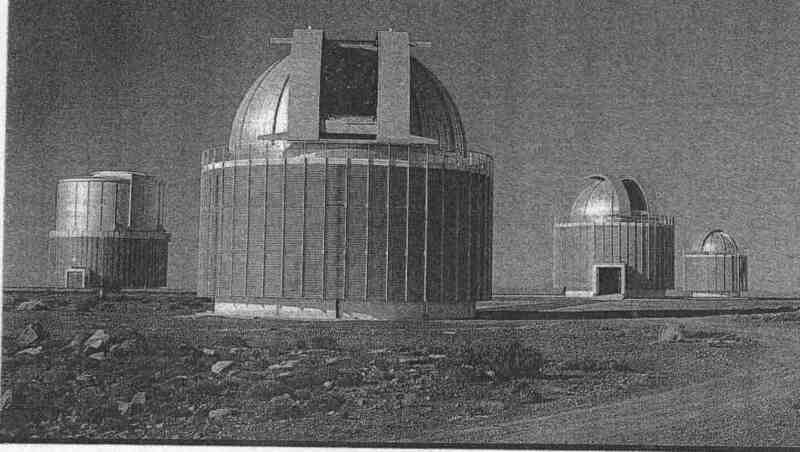 The South African Astronomical Observatory.